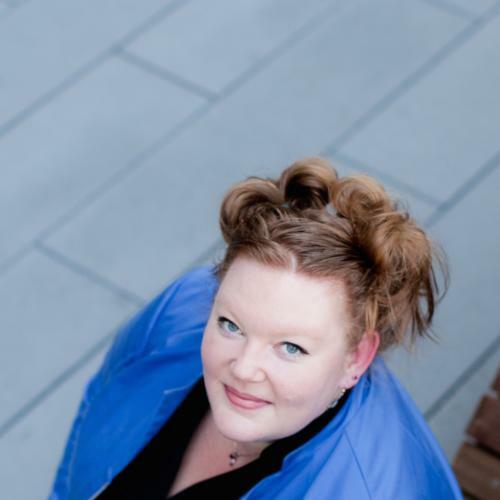 New Charity Blues is a post-apocalyptic retelling of the Trojan War, and today we’ve got a peek at the first chapter of the book. 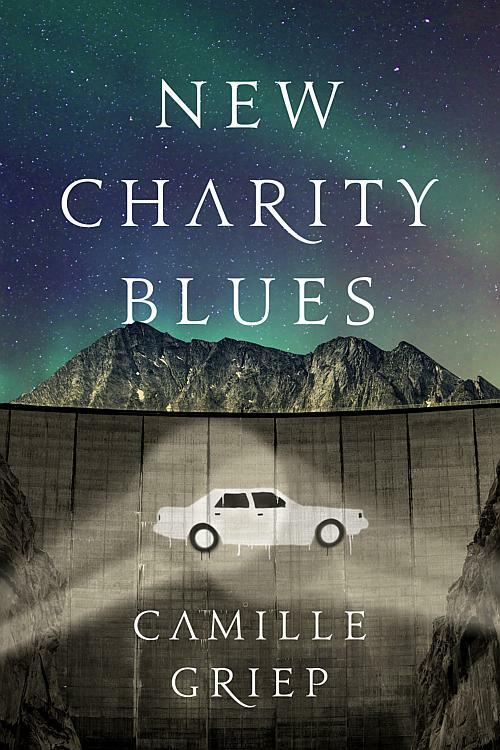 After her debut novel Letters to Zell, Camille Griep wasted no time in bring us her next adventure in New Charity Blues. Check out the first chapter below, and then order it today! In the wake of a devastating plague, two communities emerge as bastions of survival. One is called the City, and its people scrabble for scraps in the wasteland. The other, New Charity, enjoys the bounty of its hydroelectric dam and refuses City denizens so much as a drop of precious water. When City-dweller Cressyda inherits her father’s ranch within New Charity, she becomes intent on opening the dam to all — no matter the cost. On an evening like this, I should be gazing out over a wall of floodlights, a tide of applause washing over me, exhausted, elated, distantly annoyed that I mistimed an arabesque or fell out of a fourth pirouette. That’s how things were supposed to turn out. Journalists would’ve introduced me as twenty-one-year-old Cressyda Turner, a soloist-on-her-way-to-principal at the most prestigious ballet company on the left coast. Instead, the plague happened. So, here and now, I’m simply Syd, galumphing down a pitch-black alley on my way home from clinic rounds. I’m not pretending to be a qualified professional medic or even a competent adult, but Doc needs a hand, and I made Danny several promises I shouldn’t have: first to find and tell the would-have-been Mr. Danny that he’d missed out on, then to eat all the SpaghettiOs I could, and finally to make the sick and dying of the City feel cared for. To fulfill the latter, I quit pouring tapers at the candle works and signed on with Doc Remington’s clinic. The next best friend who decides to kick the bucket better have simpler demands. Danny was a true Survivor. He beat the plague five years ago, only to be leveled by a case of once-treatable appendicitis. We kept him as comfortable as we could. But losing him is still tragic and painful and unnecessary. Had we had light, power, a sterile operating room, and water that didn’t have to be hauled in buckets from clear cisterns, maybe Danny would have made it. The whole situation is stupid. Even more stupid than thinking I could have possibly been suited for any sort of caretaking job. Doc says it’s good to have a brusque bedside manner, but that’s not really it. I’m angry. I don’t want to help people die nicely. I don’t want to help them die at all. Instead of taking my third curtain call tonight, I am peering into a darkness punctuated by an even deeper darkness, listening to what sounds like a child crying for help. I should be done for the day. I should just go home. But I don’t, because I am not a monster. I should just get help. I don’t, because I am not a crowd. I curse as I hitch my supply pack higher onto my shoulders and retrace my steps to the street. If Danny has a ghost, he’s laughing because I have enough battery power to last my headlamp about fifteen minutes, thus it’s off and I’m stumbling around like a drunk on a three-day bender instead of a one-time professional ballerina. “Hello?” I call. I hear the sound again, a ways down Bleeker and on the right. I keep going, thankful for the books that lace up my shins, saving my ankles from the perils of ever-growing potholes. Until Danny, I didn’t think anything would ever feel as bad as losing my mom, but it does, even though they’re two separate griefs. Mom was one of the first to die, back when they were still learning what the plague was. We’d thought it was the flu at breakfast. I went in for my first day of Company rehearsal and came home to paramedics. I said good-bye to my mother almost forty-eight hours later, still dressed in my knit body warmer and a holey green leotard. It takes a moment for the wails to turn to sniffs and coughs. “I fell,” a girl says. “Mina,” she says, voice shaking. “Mina, I’m going to try to come up the stairs now.” I test them with my weight. They are rutted concrete and for this I am thankful, though I’m still careful as I climb. On the second floor, Mina has fallen through a rotted plank. Though she has managed to remove her leg from the hole, it is obvious she will not be able to stand on it. The candle is brought is starting to gutter out, but I let it burn a while longer, hoping to use the headlamp to get us back to the clinic. “What were you doing up here?” I ask. Children are rare in the City. Especially outside the boardinghouse. Most families went south, down the coast where things are a bit more stable. The girl bites her bottom lip, seems to weigh how much to spill. A black-and-white dog steps out of the shadows, some sort of bulldog mix. “And what were you doing up here?” I ask the dog. He wags his tail. Mina laughs, a tinny small thing. Even in the candlelight she is too pale, red hair hanging in a half curtain over her face. “Well, sometimes even we savers need saving. Let’s get you out of here.” I belly over to her, trying to distribute my own weight over the boards. When I reach her, the dog gives me an once-over and looks back to her. She nods. She’s a tough kid. I splint her calf, while the dog watches my every move. She doesn’t cry, doesn’t whine, and doesn’t babble. The candle gives its final sputter while we’re inching our way over to the stairs on our stomachs. I pick Mina up and flip on the headlamp. The dog, who does not need a headlamp, leads us down the stairs. Camille Griep lives just north of Seattle her partner, Adam, and their dog Dutch(ess). Born in Billings, Montana, she moved to Southern California to attend Claremont McKenna College, graduating with a dual degree in Biology and Literature. Her first novel, Letters to Zell, was released in July 2015. Look for New Charity Blues in April of 2016.